Little Summerhill Cottages Self-cateringLittle Summerhill Cottages is a small development of three converted barns. Situated off the beaten track in the Staffordshire Moorlands yet only 1 mile from the A52 between Alton Towers and Stoke on Trent, our four star, one or two bedroomed cottages offer a cosy relaxing break or an interesting base for exploring the area's many attractions. 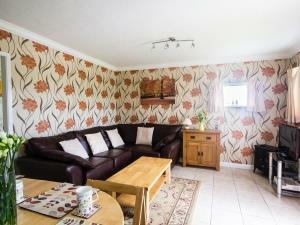 Little Summerhill Cottages offers weekly bookings starting on any day and sometimes short breaks. One double bedroom downstairs, wet room with shower, kitchen and lounge with dining area downstairs. 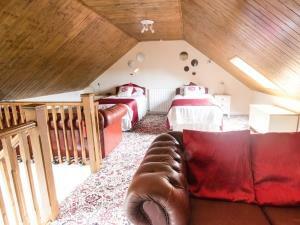 Galleried bedroom with twin beds and its own seating area with TV, Freeview and DVD player upstairs. Includes all electricity, bedlinen and towels. Chestnut offers weekly bookings starting on any day and sometimes short breaks. We were given the warmest of welcomes, and nothing was too much trouble. All we needed was provided (plus more), and all creature comforts were catered for - it was just what we needed after a 14-hour flight!